Free Cloud Accounts of Dropbox is Bigger with 16 GB Space with referrals. Definitely it will make other free cloud space providers uncomfortable with face lift. Among the Free Cloud Storage Service providers we listed before, Dropbox is the most clicked links. 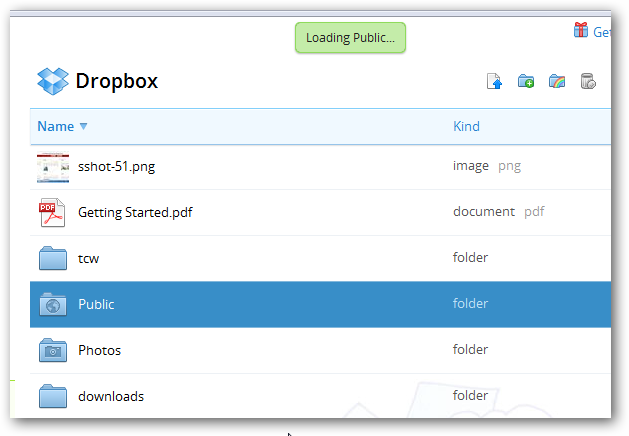 We have not noticed the Face Lift before this upgraded free cloud plan, may be it has been missed, but the increased free cloud storage space, more cleaner look, hundreds of features and well known simplicity makes Dropbox to rock again. Dropbox is not a bland Cloud Storage, it is feature rich Free Cloud solution and we wrote before many articles on Dropbox tricks. You can use this Free Cloud for public file sharing, an online backup storage, backup your WordPress or even as a CDN. Yes, you must look for this trick to Host Rackspace Cloud Sites Subdomain on Dropbox. If you signup for Dropbox you will get 2 GB of Free Cloud Storage Space, with referrals you will get 500 MB increments, which had a limit of 8 GB before, its now 16 GB. At the time of writing, WikiPedia has not still copied this update updated it, we hope they will copy it soon. I think it looked a bit different before. This looks nicer. If you are thoughtful what is Free Cloud or rather what is Cloud Computing, without hesitation Scroll up of this page, on the top left side on navigation panel there is link to all articles on Cloud Computing and on the right side there is a search box, write the thing you need to search (like Free Cloud) and click the search button. This Article Has Been Shared 2743 Times! Installing WordPress on AppFog Video Guide will show to install WordPress on Free AppFog on Rackspace DFW and also the points where users commit mistakes. Cite this article as: Abhishek Ghosh, "Free Cloud Accounts of Dropbox is Bigger with 16 GB Space," in The Customize Windows, April 10, 2012, April 19, 2019, https://thecustomizewindows.com/2012/04/free-cloud-accounts-of-dropbox-is-bigger-with-16-gb-space/.